JUSTIN ACLIN: Mike Dimayuga is a HACK! It's true! The very talented Mike Dimayuga, penciler extraordinaire of Hero House, is a total hack. By which I mean, of course, that Mike will be making his professional comics debut in the soon-to-be-shipping Hack/Slash #23 from Devil's Due Comics! Check out writer Tim Seeley discussing it here. 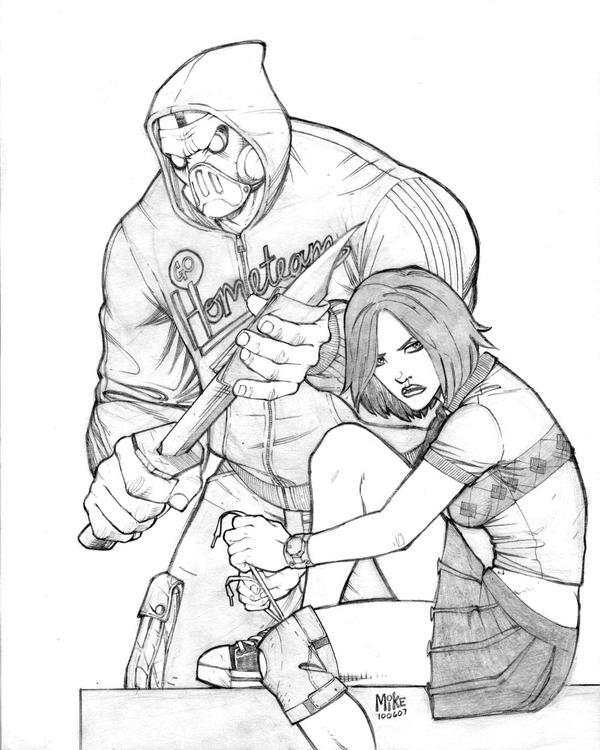 You can see some of Mike's Hack/Slash art done before (though not his art for the story - this is some of the art he did for his own edification that caught Tim's eye). Please join me in congratulating him!